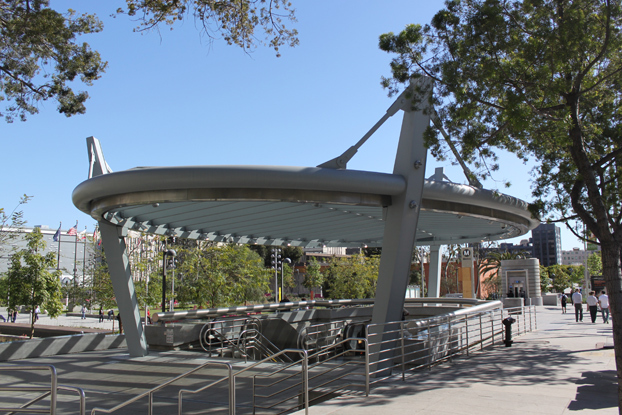 The METRO Canopy Project required construction of five new canopies over existing subway portals on METRO’s Redline in various downtown Los Angeles locations. 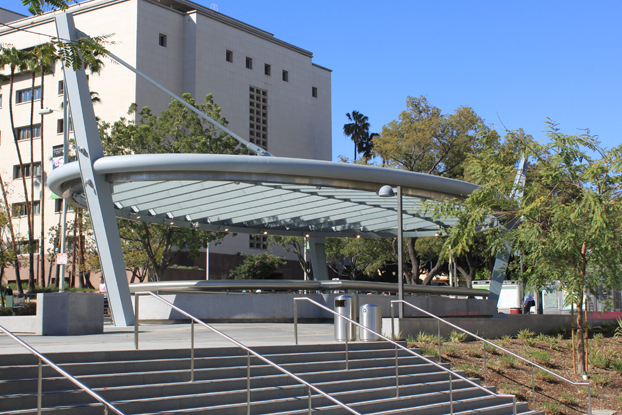 To accommodate access to the stations, the canopies are each an artistic, cantilever tripod design with an elliptical shape measuring approximately 70 feet by 44 feet and 15 feet in height. 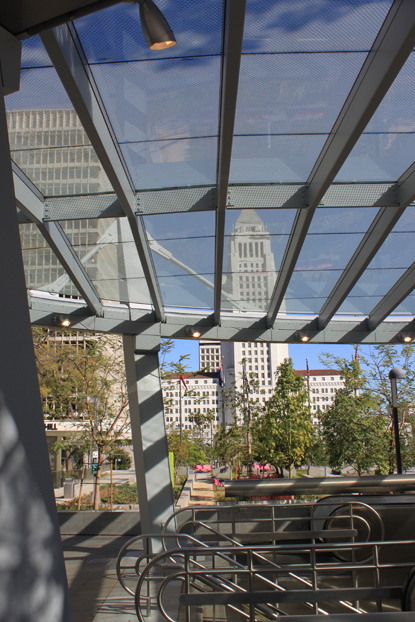 All power, lighting, CCTV, and drainage is self-contained within the structure to provide a clean view from any angle. 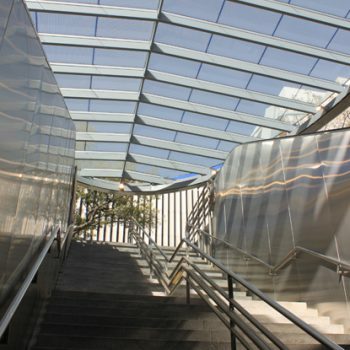 The canopies are covered in structural glass to provide a sleek architectural appearance while protecting the subway riders from the elements. 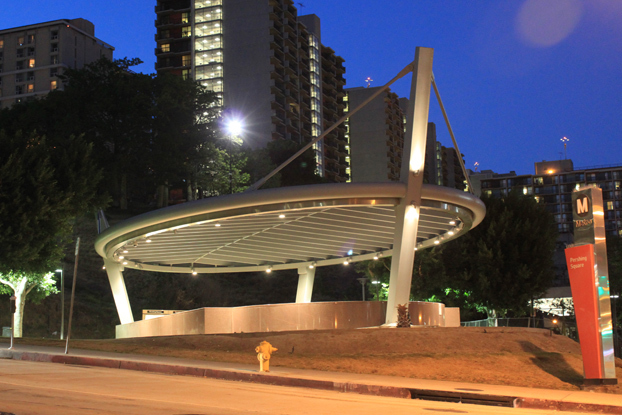 Field construction was originally scheduled to take place over a period of fifteen months. Due to various design issues and foundation conflicts the schedule was pushed out nearly a year. 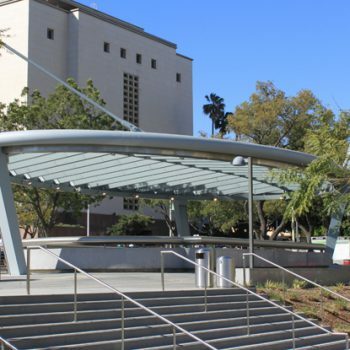 Griffith Company accelerated the project and constructed all five canopies in an eight-month period, shortening delays by seven months. This was accomplished under difficult project conditions. 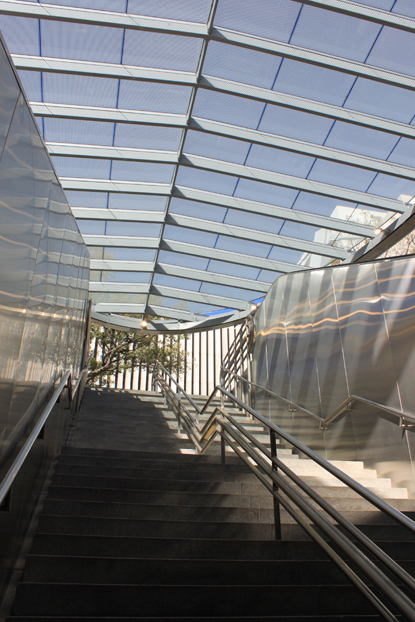 Construction was required to be performed under full operation of the station entrances at all times. 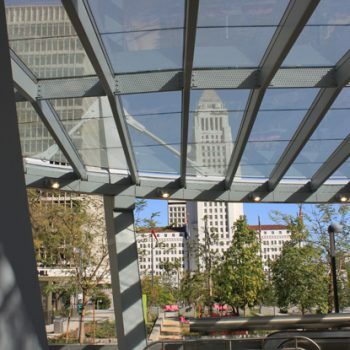 The hours of operation for the METRO Redline is daily from 4AM to 1AM, leaving only three hours of unrestricted station closure. 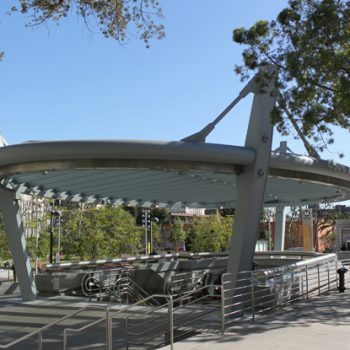 The struggles of live operation were increased due to the high profile locations of the canopies as well as the high volume of pedestrian and vehicular traffic in the area. 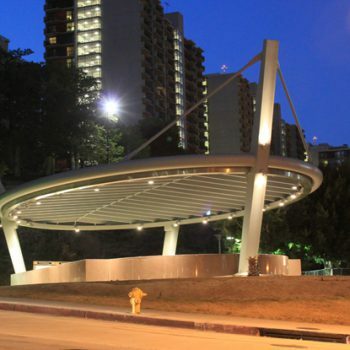 Griffith Company worked through design issues, unknown conditions, extreme traffic in locations of high visibility and constructed architecturally pleasing canopies of enduring quality to the satisfaction of METRO and the surrounding communities.